Anytime Facebook announces proposed changes to its Data Use Policy and Statement of Rights and Responsibilities (SRR), there is an uproar among users, pundits and privacy advocates. The latest brouhaha happened on Wednesday. The item that caught most people’s attention is the fact that Facebook is proposing that users no longer have a vote on changes to the documents referenced above. We covered this in detail earlier this week. We also explained how the voting process is flawed and is never likely to result in users directing policy direction in the first place. There are a couple of other items in Facebook’s proposed changes that are worthy of a closer look. The first is that Facebook wants to share data with Instagram and vice versa. Facebook acquired the photo sharing site this year for an enormous amount of money. Thus far, your Facebook profile and Instagram account have been totally separate. Facebook wants to break down this wall, and some speculate the reason is to serve more relevant ads on BOTH platforms. So don’t be surprised if you see new ads on Instagram soon. We have already seen several Facebook scams exploit the messaging feature on Facebook. We have often recommended that our readers limit who can send them messages to avoid these annoying attacks. Now, it appears that we’ll have to depend on Facebook’s security team and spam filters to keep our Inbox clean from such trash. Parents should be especially mindful of this change, because we have seen questionable and salacious personal ads spammed to Facebook users in the past. Removing this feature will likely result in more spam and present more potential for abuse. We’ll keep an eye on this issue and will update our readers as more information becomes available. 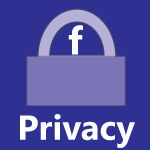 Based on past performance, we are not all that confident in the efficacy of Facebook’s measures, and removing the ability for users to control who messages them is a step backward in user choice, privacy protection and a better experience on the platform.